The Class of 1973's next major reunion - 50 years - will be in 2023. Time: 4:00 p.m. - 11:00 p.m. Details: Our reunion will be held at the Knights of Columbus Hall with cocktails from 4:00-6:00, dinner at 6:00, and entertainment starting at 8:00pm. Flyer with reservation form has been sent out to all addresses we have. PLEASE let us know if your address has changed or you know of others who have moved or passed away. Tickets: $40/per person in advance (includes dinner, drinks, dancing and fun! ); $45/per person at the door. Reserve your spot now! Click here for a reservation form. Details: The Class of 1973 will have their 40 year reunion on July 13th. The evening event will be held at the Knights of Columbus Hall (4323 Washington St.) from cocktails from 4:00-6:00, dinner at 6:00, and a whole lotta FUN, including dancing, starting at 8:00pm! There will be a golf outing at Tregaron Golf Course that day, tee time 9:30am. If you are interesting in golfing beforehand, please let Jerry Cherek know. Tickets: Evening - $40/per person in advance and $45 at the door. Golf - Please email Jerry about golf costs. 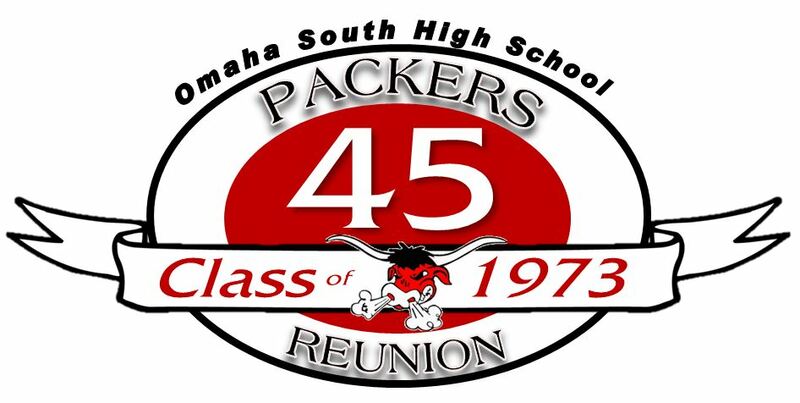 Send checks to Omaha Sough High 1973 Class Reunion, PO Box 390342, Omaha, NE 68139.